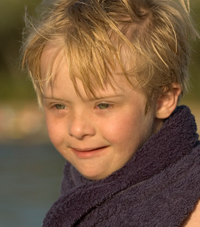 Family Connection of South Carolina is a network of parents providing parent-to-parent support and assurance to families with children of all ages who have special needs. One of the greatest needs parents identify is the need for respite—taking a break from caregiving. With a grant from the Governor’s Developmental Disability Council, Family Connection has undertaken Special Connection to create respite options for the families of South Carolina. The present goal of Special Connection is to help families set up respite cooperatives: pre-scheduled, non-emergency cooperations for respite service between families. This notebook probably provides more information than you’ll ever need, but it is intended to be all-inclusive so parents’ minds will be at ease when leaving their child(ren) for respite care.